Dutch scientist Paul J. Crutzen followed an unusual academic trajectory. His grade school education was interrupted by the Nazi occupation of his native Netherlands, and his high school test scores were too low to earn a university scholarship, so he instead attended technical college, where he majored in civil engineering. He worked in that field for several years before being hired in 1959 as a computer programmer at the University of Stockholm, despite having no training or experience with computers. He caught on quickly to the mathematical intricacies of early programming, and launched a second career constructing early modeling software for the university's meteorological institute. In performing this work, he was drawn to the science of meteorology, and began attending related classes at the University, earning his doctorate in 1968 and beginning his third and most successful career, as a meteorologist. He was the first scientist to recognize that nitrous oxide, produced by the increasing use of high-nitrogen fertilizers and fossil fuel powered engines, was a contributing factor to depletion of the ozone layer, a stratospheric range about twenty miles above the Earth's surface. Crutzen showed how the ozone layer is formed and destroyed, and his 1970 research showed that ultraviolet radiation in the ozone layer reacts with nitrous oxide, converting the ozone to molecular oxygen and thus leaving the planet and its occupants increasingly vulnerable to the effects of ultraviolet radiation. He won the Nobel Prize for Chemistry in 1995, shared with Mario J. Molina and F. Sherwood Rowland, who studied chlorofluorocarbons. 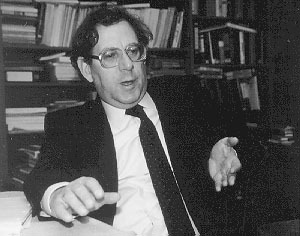 He also modeled the Mount Pinatubo volcanic eruption of 1991 to propose that atomic warfare could cause a "nuclear winter" effect, a theory later popularized by Carl Sagan. In 2006 he proposed a controversial but bizarrely plausible geo-engineering response to global climate change, in which sulfur would be released into the upper atmosphere to, hopefully, block some of the sun's light and heat from reaching the planet.